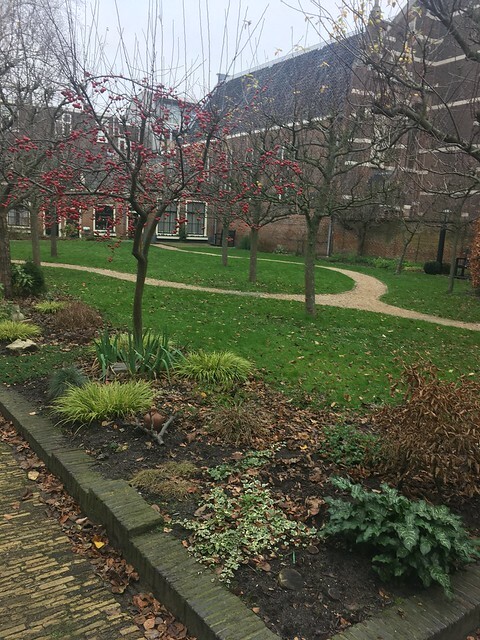 Walking from the train station towards the Grote Markt in Haarlem, on the right on the Kruisstraat at the beginning of the busy shopping centre, it’s hard to miss, visible through a monumental wrought-iron gate, a pleasant green courtyard surrounded on three sides by houses. 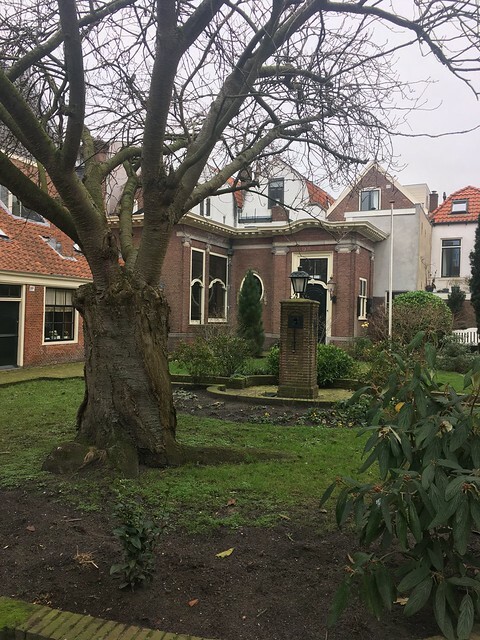 This is the Hofje van Oorschot . 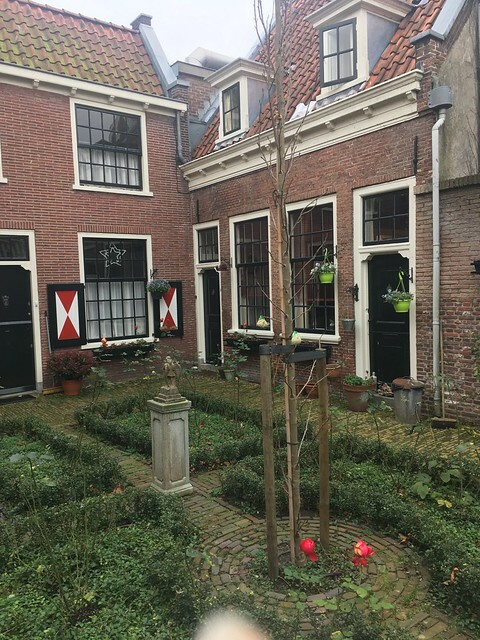 Hofjes were groups of alms houses founded to provide homes for elderly women. 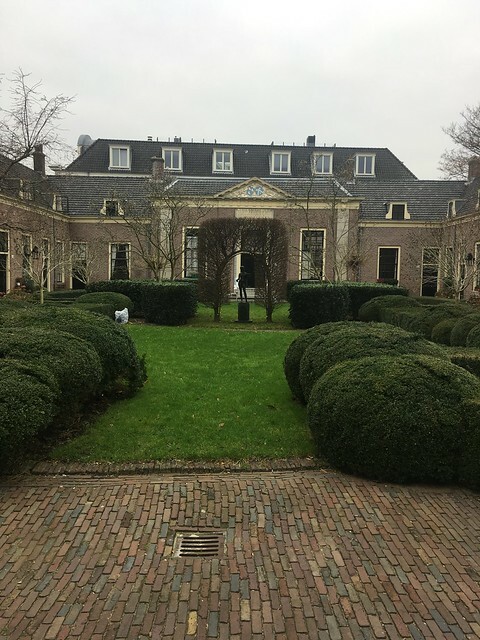 As the wealthy merchants during the Dutch Golden Age were pious Calvinists who eschewed showing off their wealth (in principle, at least), who wanted to guarantee their place in paradise by performing a charitable act and show to the world just how godly they were (and also, no doubt as a way of showing of their wealth and leaving their mark on posterity) many of them would found Hofjes which would usually be named after them. Hofjes have continued to be built over the years. In the 18th century they were founded for commercial purposes with the inhabitants paying rent. 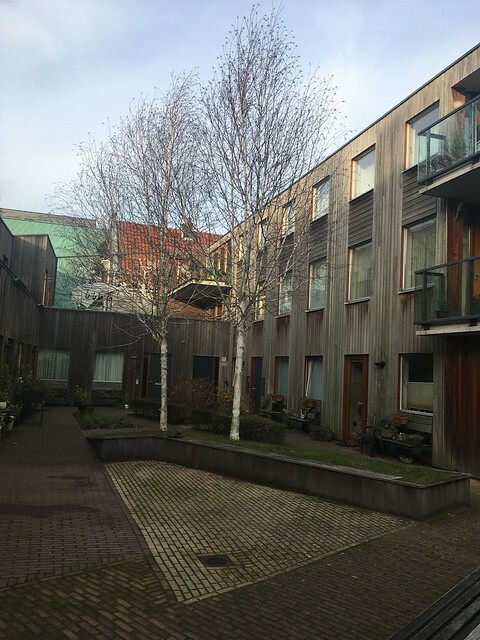 The most recent one in Haarlem was built as recent as 2007. The occupants were women only. Elderly men were considered incapable of looking after themselves. Instead, they were admitted to “old people’s homes” where they had a room in a communal building. 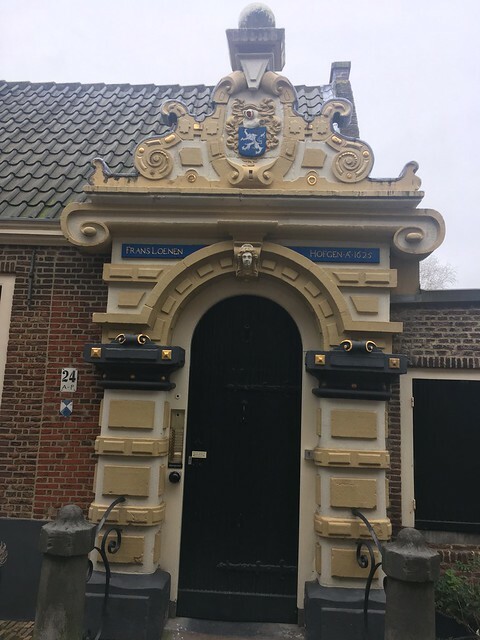 One example is today occupied by the Frans Hals Museum which we visited back in February last year. 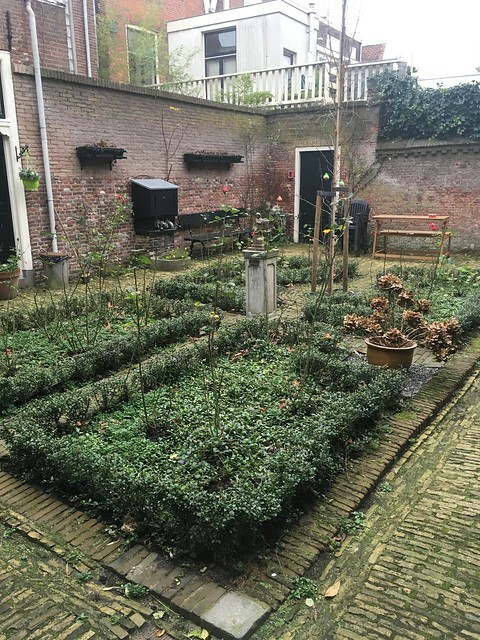 The design of the home – surrounding a courtyard garden, – is essentially the same as that of the Hofjes. 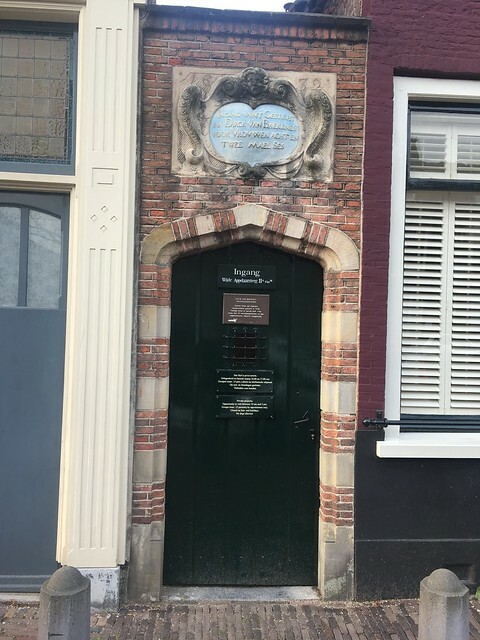 There are Hofjes in a number of towns in the Netherlands, but Haarlem is particularly noted for them with more than 21 scattered around the old town centre. 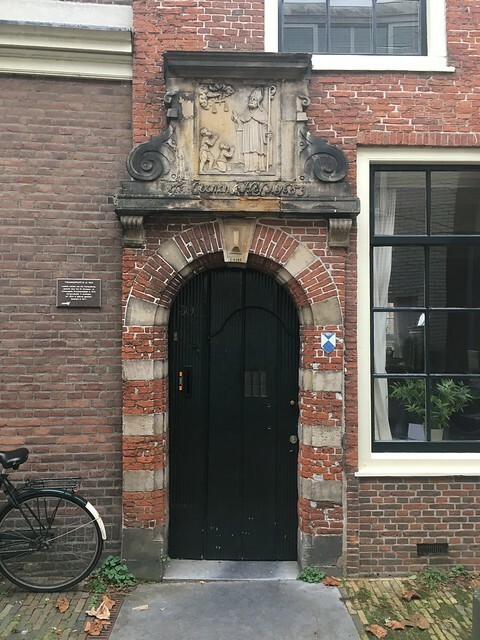 Not that they are all as immediately obvious as the Hofje van Oorschot – most of them are hidden away behind walls in the old lanes and streets. 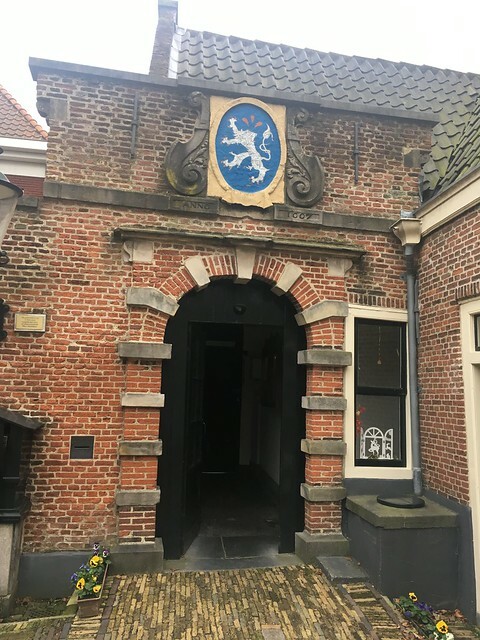 We picked up a copy of the leaflet from the Tourist Information Office in the Town Hall on the Grote Markt which showed the location of many of the Hofjes and gives a suggested walking route around them. 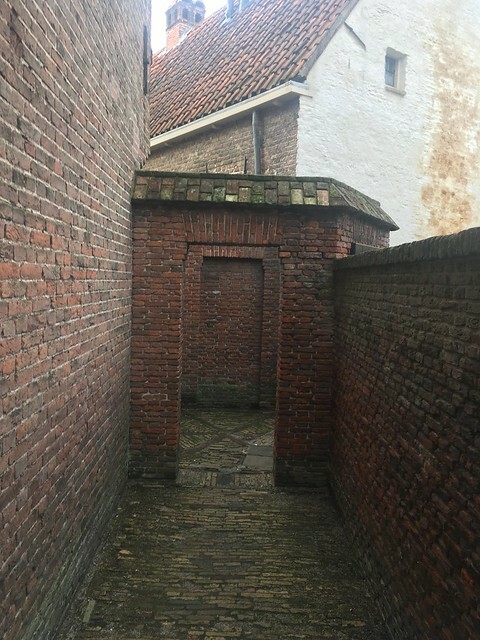 The Hofjes are usually built in a U-shape with a yard or garden in the middle, and a gate as entrance. 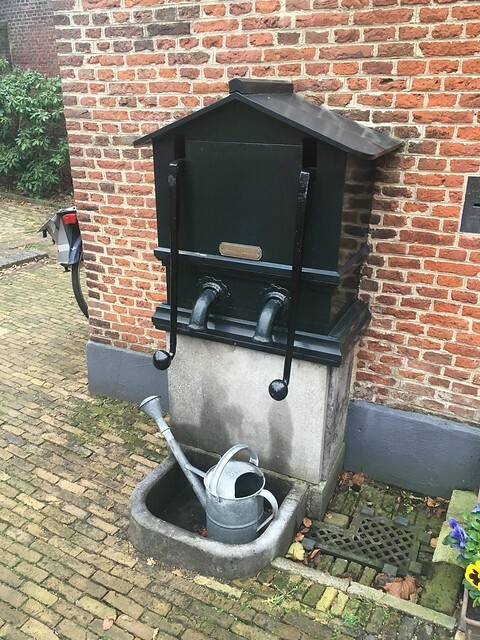 There’s often a community kitchen garden with a water pump. 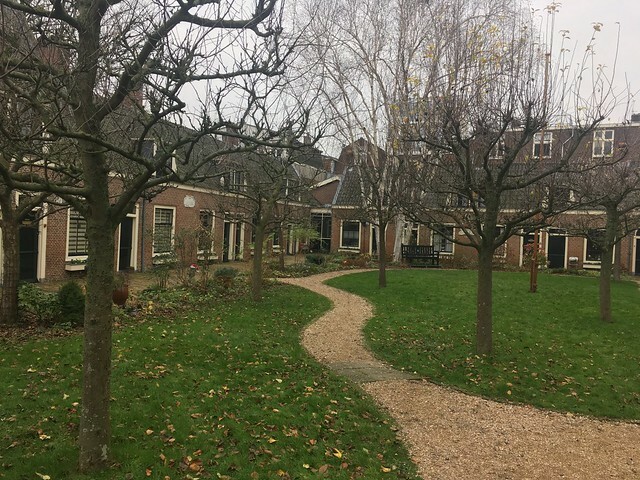 The houses are still occupied and the although many of the courtyards can be viewed, there are restrictions on visiting hours – they are closed during weekends and public holidays so were not accessible for most of the time we were in Haarlem. But we managed to see several of them, mainly on our last day in the town (our flight home was at 9:15 in the evening). It was a cold day, though, so we didn’t complete the route. But I expect we’ll be back in Haarlem before too long so we’ll have chance to see the rest at some stage! 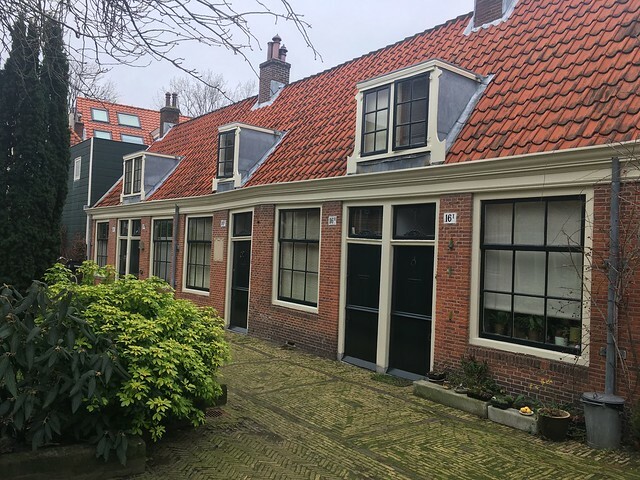 Two of the Hofjes – the oldest and the newest – were between the canal and the Wijde Appelaarsteeg, only a short walk from the Dutch house we were staying in. 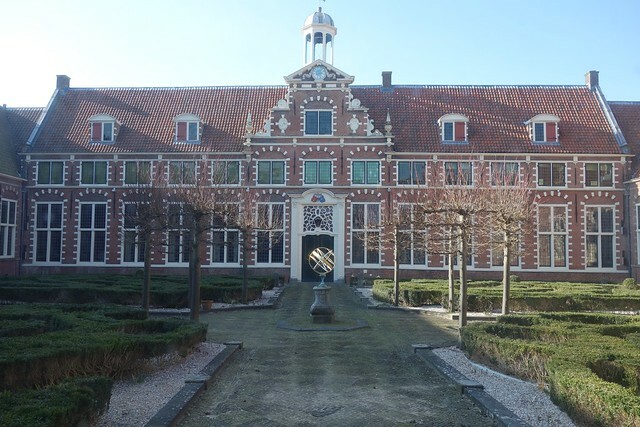 which led to the Hofje van Bakenes the oldest in the Netherlands, founded in 1395. 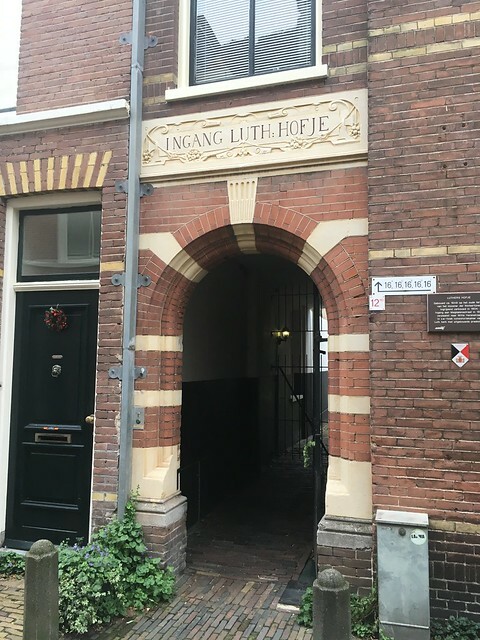 Another ginnel connect this, the oldest Hofje, with the newest – the Johan Enschedé Hof. Here’s a few more photos I took during our tour on our last day. 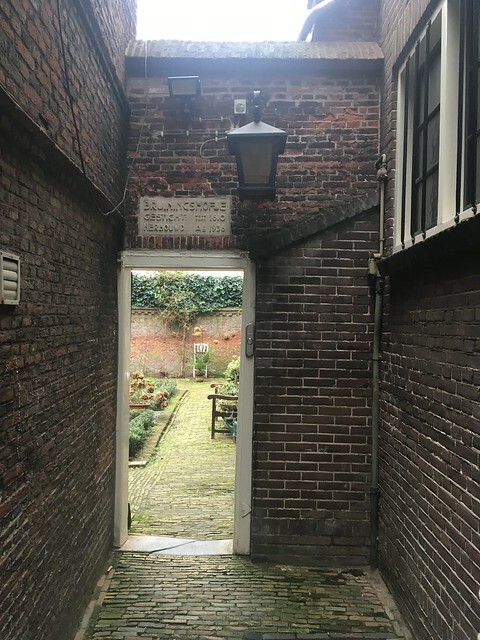 Not all of the courtyards were accessible and I could only photograph the doorways, but we certainly got a good feel of what they were about. You had to seek them out – the entrances weren’t always obvious – but it was worth the effort. 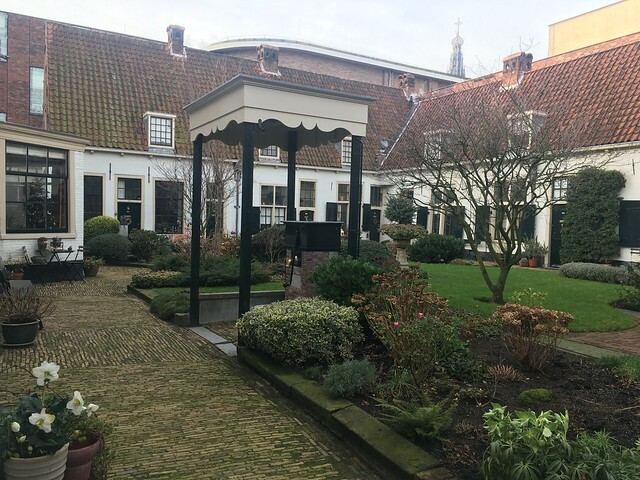 As it was a cold, grey, winter’s day, my photos don’t do justice to the Hofjes – the gardens were relatively bare and the light wasn’t great for showing off the buildings. It would be good to revisit during the Spring or Summer when there would be more colour.